Big Sky, Montana is nestled in the middle of the Madison Range. It's pristine and wild country. Just look around and you'll see why our backyard is an outdoor recreation paradise. Luckily, much of the Madison Range is protected as part of the Lee Metcalf Wilderness, which means our playground is here to stay. Hiking, backpacking, climbing, horse packing, bird watching, backcountry skiing, rafting, hunting, peak bagging, and so many other fun outdoor activities are super close by. 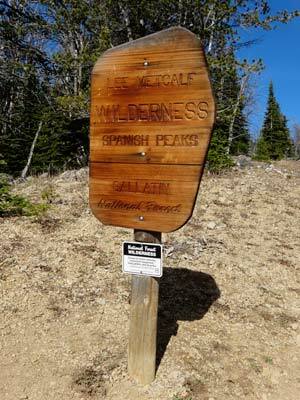 The next time you hit the trail and head into the mountains, you'll probably note signs that mark the boundary of the Lee Metcalf Wilderness. 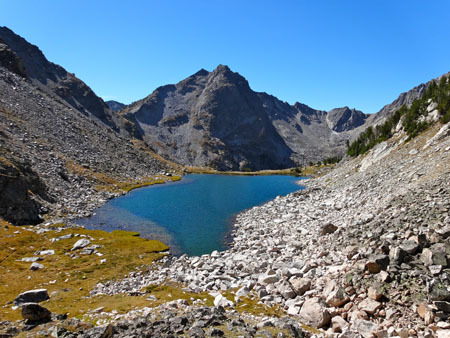 The Lee Metcalf Wilderness was designated by Congress as a wilderness area in November 1983. It is protected under the National Wilderness Preservation System, which manages 762 wilderness areas in the US. Those wilderness areas consist of roughly 109 million acres or 4.5% of the area of the United States. The NWPS was originally created as part of the Wilderness Act of 1964, which was signed into law by President Lyndon B. Johnson on September 3, 1964. Montana is home to 16 different wilderness areas that protect 3.5 million acres or 3.75% of the state's land. 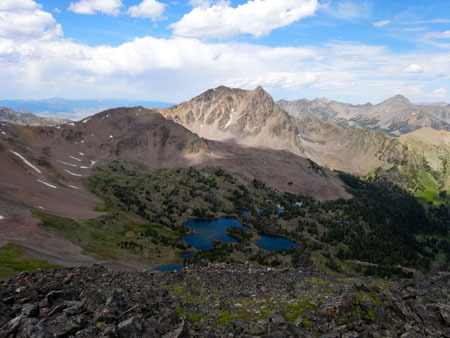 In Big Sky, we're lucky to have the Lee Metcalf Wilderness as part of our outdoor playground. 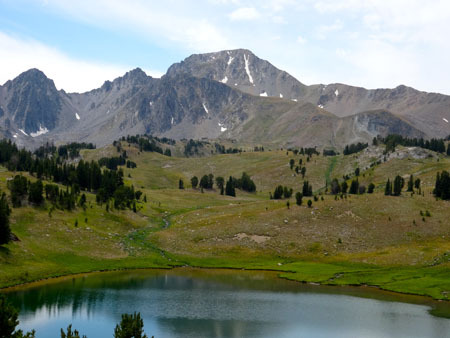 It is managed by the Bureau of Land Management and the US Forest Service (Gallatin National Forest and Beaverhead-Deerlodge National Forest). It covers roughly 250,000 acres across four separate wilderness units. This massive wilderness area ranges from roughly 4500' in elevation up to 11,316' on Hilgard Peak. Alpine cirques and U-shaped valleys leave clear indications of prior glaciation. The landscape is filled with rugged terrain, vast meadows, thick forests, alpine lakes, and towering peaks. Sharing a border with Yellowstone National Park, ensures that the Lee Metcalf has a healthy and abundant wildlife population. Grizzly bears, black bears, moose, elk, cougar, wolves, mountain goats, big horn sheep, and other creatures all call this area "home." Rainbow trout, brook trout and graylings can be caught in the streams and rivers if you have a Montana fishing license. Over 300 miles of trails spiderweb out of 28 different trailheads that enter the Lee Metcalf. These access points beckon human powered adventure into the Greater Yellowstone Ecosystem. Bring your bear spray, practice LNT, and remember that motorized or mechanized vehicles are not allowed in the wilderness - including bicycles. Now all of this brings up the one question on everyone's mind - who is Lee Metcalf? Lee Warren Metcalf (January 28, 1911 – January 12, 1978) was a lawyer, judge, and politician from the state of Montana. As a conservationist he protected to keep Montana wild. He was instrumental in the passing of the Wilderness Act in 1964. 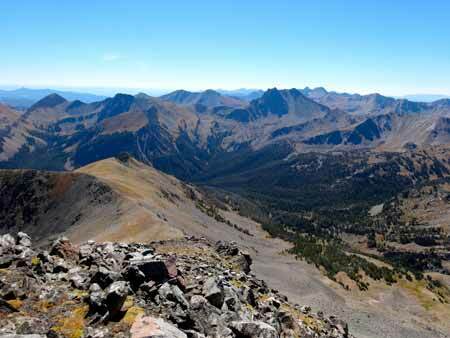 The Lee Metcalf Wilderness was named in his honor. When you head outdoors to adventure into wild Montana, be safe and enjoy Big Sky's backyard responsibly.